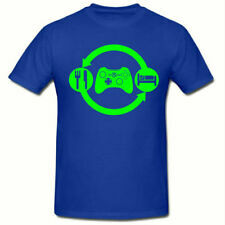 Boys NEXT Crew Neck BLUE T-Shirt. WHITE DINOSAUR LOGO. Age 7. Condition is Used. From pet and smoke free home Dispatched with Royal Mail 2nd Class. 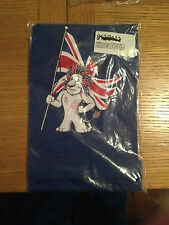 Lyle And Scott T Shirt Size 5-6 Years. Condition is Used. Dispatched with Royal Mail 2nd Class. 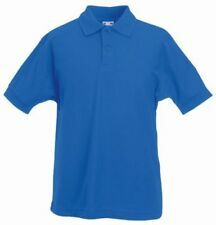 Great Ralph Lauren t shirt, royal blue with white logo and long sleeves. Juko Kids Alpinestars Logo 1356 Moto GP VR46 Rossi Motorbike Racing T Shirt. 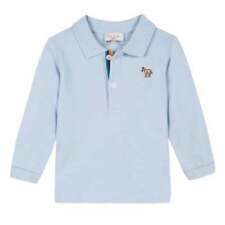 SNUGLO Blue " T is for trouble " Logo Top - Age 2-3y. New with tag. 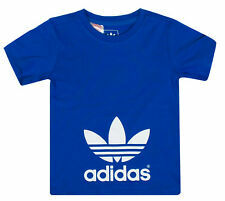 Here is a great t-shirt to fit a boy aged 4 years. It is blue with green trim and logo on the front. Green Top: From Benetton. Long sleeved. Collection is not available unless specified. Dark Blue Jumper Top Feels like a cotton blend fabric but label has faded. Age 6 years. 100% Cotton. Age 4-5 years.